We just started deploying the new wideband antennas in CorteXlab. 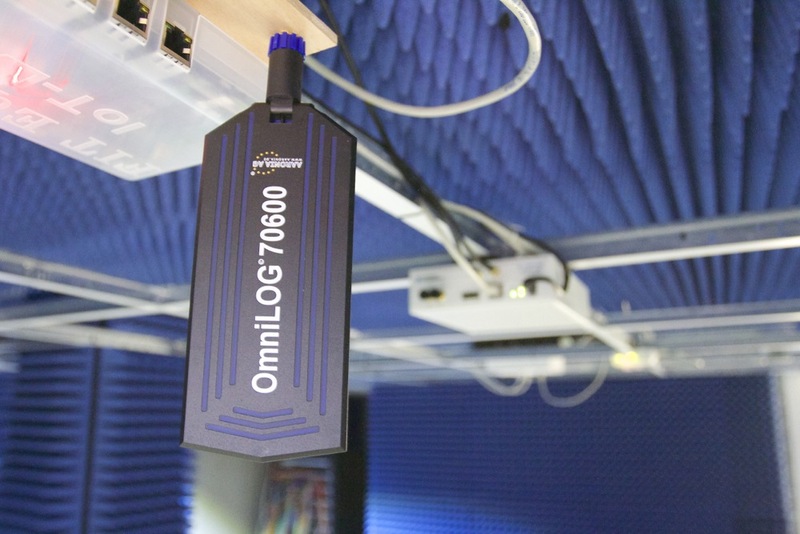 These antennas are a special version of the Aaronia’s OmniLOG 70600 wideband antenna. They will enable users to efficiently experiment on the whole spectrum width allowed by CorteXlab’s SDR nodes, from 300 MHz to 4 GHz. Indeed, these enhanced antennas cover the frequency range from 280 MHz to 6 GHz, as seen on the following graph. In CorteXlab, each National Instrument USRP is equipped with 2 antennas while each Nutaq PicoSDR is equipped with 4 to 8 antennas, depending on the model (MIMO 2×2 or 4×4).